Erik Jensen is the founding editor of The Saturday Paper. He has worked as a writer and editor at the Sydney Morning Herald, where he won the Walkley Award for Young Print Journalist of the Year and the UNAA’s Media Peace Prize. His work has appeared in various publications, including The Monthly and New Statesman. Erik is also the author of Acute Misfortune: The Life and Death of Adam Cullen, which won the 2015 Nib Prize for Literature. His second book, On Kate Jennings, from the Black Inc. ‘Writers on Writers’ series, was published in October 2017. 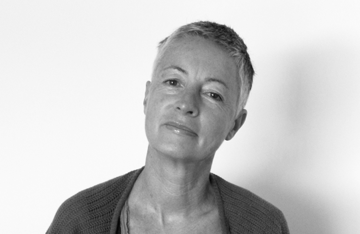 Suzanne Santos began her role at Aesop in 1987 and has been actively involved in critical aspects of the company’s development, in international as well as Australian markets. Suzanne travels the world as an ambassador for Aesop, overseeing its introduction into new markets, working with and tutoring representative agents in Aesop products and standards, and visiting stores to work with both clients and consultants. Professor Marcia Langton AM is an anthropologist and geographer. Since 2000 she has held the Foundation Chair of Australian Indigenous Studies at the University of Melbourne. She is a member of the Expert Panel on Constitutional Recognition of Indigenous Australians and in 2012 gave the Boyer lectures titled ‘The Quiet Revolution: Indigenous People and the Resources Boom’. Renowned for first-rate narrative journalism, The Saturday Paper has become a weekly fixture in the lives of Australians who enjoy its astute long-form coverage and analysis of news and cultural affairs. While its primary business is skin care, Aesop is also known for consistent cultural engagement. It has collaborated with The Saturday Paper since 2014; other literary partners include The Paris Review and numerous writers’ festivals around the world. Artwork © Louis Kahan/Licensed by Viscopy, 2016. Image of artwork courtesy National Library of Australia Archive.